You’re reading novel Chaotic Sword God Chapter 709: Family Transformation (Two) online at LightNovelFree.com. Please use the follow button to get notification about the latest chapter next time when you visit LightNovelFree.com. Use F11 button to read novel in full-screen(PC only). Drop by anytime you want to read free – fast – latest novel. It’s great if you could leave a comment, share your opinion about the new chapters, new novel with others on the internet. We’ll do our best to bring you the finest, latest novel everyday. Enjoy! “Don’t worry second brother, leave the two to us.” An old man within the remaining three Fifth Heavenly Layer Saint Ruler smiled coldly. Every single word of their conversation was heard by Bi Hai and the other two. It caused them to become extremely serious. With their strength, they could not face up against the five at all. Nubis’s expression also became filled with seriousness. Although it was said that Silver Striped Golden Snakes possessed great battle ability, he could only handle one Sixth Heavenly Layer Saint Ruler with his strength of the Third Heavenly Layer. If two Saint Rulers of the Sixth Heavenly Layer were to move against him at the same time, he would definitely struggle to hold them at bay, unable to fight back at all. “You dare to become enemies with our Flame Mercenaries? Perhaps you don’t know that the grand elder of Mercenary City is supporting us Flame Mercenaries from behind?” Jiede Tai yelled deeply. He attempted to use the grand elder’s name to deter the five people. 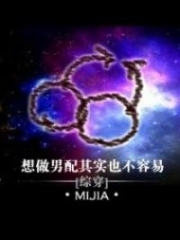 However, the five people clearly did not know anything about the Flame Mercenaries’ situation and did not believe what Jiede Tai said at all. Old man Situ stared at Jiede Tai in ridicule and said, “Who do you think the grand elder of Mercenary City is? Why would he have any connections with your insignificant mercenary group? Do you really think I’m as easy to trick as a three year old? Hmph, Mateng, let’s do it. We’ll get the monster core from the Silver Striped Golden Snake first.” As soon as he finished speaking, old man Situ took the initiative to rushed at Nubis with his Saint Weapon, while old man Mateng who was also in the Sixth Heavenly Layer followed behind. They were going to fight Nubis together at the same time. As for the other three Fifth Heavenly Layer Saint Rulers, they did not lag behind. They rushed at Jiede Tai and Bi Hai at the same time. Two of them faced off against Bi Hai who was also in the Fifth Heavenly Layer, while the other person faced off against Jiede Tai who was only in the Third Heavenly Layer. The great battle between the eight Saint Rulers ensued in the air above the palace. When two people clashed, there would be a rumbling akin to thunder with powerful energy ripples, carrying the force of destruction in all directions. The palace and entire city below were also affected by the ripples, causing countless structures to collapse and countless cracks to appear on the roads. The countless merchants and mercenaries within the city felt like it was the end of the world, all fleeing crazily towards the distance while protecting their heads with their hands to avoid the ripples of battle. However, even though many did that, people were still crushed by the surrounding collapsing structure. The entire city became a mess in an instant. In the sky, as the difference in strength between the opponents was just too great, the weakest, Jiede Tai, was injured by his opponent just from a few rounds of battle. He spat out blood as he fell from the sky, unable to battle anymore. Bi Hai was also suppressed by the two old men at a similar level to him, falling into a disadvantage, only able to defend but not attack. Nubis was the same, greatly suppressed by his two Sixth Heavenly Layer Saint Ruler opponents. Hiss! Suddenly, a hiss that seemed to be capable of ripping apart souls erupted from Nubis’s mouth. Nubis quickly turned into his body as a magical beast. A huge, golden snake of several dozen kilometers in length hung in the sky, battling intensely against two Sixth Heavenly Layer Saint Rulers. Transforming into a magical beast, Nubis’s ability in battle greatly increased. Just with his body as a beast of antiquity and the renowned venom, he could actually able to fight two Sixth Heavenly Layer Saint Rulers to a stalemate temporarily. However, as the two Saint Rulers used all their strength without holding anything back, Nubis became suppressed once again, only able to defend and not counterattack. In the end, Bi Hai was unable to persist against the overwhelming numbers. Not long after, he was injured by his opponent, falling out of the sky after spitting blood. He landed heavily on the ground, creating two great ditches. As for Nubis, the great snake he had transformed into was also beaten until he spat up blood, flying far off into the distance. Immediately, two Saint Rulers flew towards Bi Hai and Jiede Tai. As for old man Situ and Mateng, they continued to fly towards Nubis. Just at this moment, an old voice reverberated in the area. Shortly afterwards, a presence even greater than the five people appeared, before an old woman with a dragon-headed cane appeared soundlessly in the air. She just happen to block the two Sixth Heavenly Layer Saint Rulers. The old woman stared at old man Situ and Mateng with a forceful gaze and the corner of her lips curled into a sneer of disdain. She did not answer their question, and instead raised the dragon-headed cane. She tapped it gently at the two people and invisible World Forcce immediately shot out, rus.h.i.+ng at the two people. The two Saint Rulers knew that the old woman was powerful and did not dare to be complacent even in the slightest. They also swung out with the Saint Weapons in their hands, with invisible World Force. The World Force clashed mid-air. It did not give off any sound or any violent energy ripples, just that the s.p.a.ce there began to shake and tremble violently, before being ripped open, revealing a black hole the size of a head. Within the black hole, starlight glimmered vaguely. The old woman stood there unmoving, while the expressions of the Saint Rulers that faced up against her changed greatly. Their throats produced a deep, m.u.f.fled sound with great difficulty, before backing down. However, before they could contain the situation within their bodies, the old woman originally in front of them appeared behind them without any warning. The dragon-headed cane in her hand fused with the s.p.a.ce and with a gentle-looking swing, it struck the backs of the two old men with lightning speed. Sputter! The two old men who were Sixth Heavenly Layer Saint Rulers became extremely weak in that moment with blood spraying from their mouths. Their complexions paled in an instant, before looking at the old woman in shock. “c.r.a.p, this b.l.o.o.d.y woman’s at least the Eighth Heavenly Layer.” Old man Situ exclaimed. 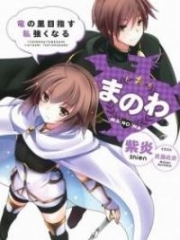 You're reading novel Chaotic Sword God Chapter 709: Family Transformation (Two) online at LightNovelFree.com. You can use the follow function to bookmark your favorite novel ( Only for registered users ). If you find any errors ( broken links, can't load photos, etc.. ), Please let us know so we can fix it as soon as possible. And when you start a conversation or debate about a certain topic with other people, please do not offend them just because you don't like their opinions. You're reading Chaotic Sword God Chapter 709: Family Transformation (Two). This novel has been translated by Updating. Author: Xin Xing Xiao Yao already has 11254 views. Current Time is Apr-21-2019 05:00:29 AM.